This is the easiest way I’ve found to do classroom jobs. I was doing a lot of tidying up and organizing each day after school and thought that my 1st/2nd graders could do most of these things with a little training. I gave every child in my class a job. This builds community and responsibility. Children have a new job assignment every month, so I have to assign new jobs only 8 times each year. I keep track on a class list on my computer. We have 10 minutes at the end of the day for “Job Time” and don’t line up for dismissal until the room is clean and jobs are done. We also do some “job-sharing” where two children do a big job together. I have a 2 mail carriers, 2 scrap monsters (to pick up scraps off the floor), supply shelf manager, library helper, center inspector, desk inspector, pencil sharpener, overhead projector cleaner, 2 lunch menu helpers, table washer, reading corner helper, plant monitor, chalkboard cleaner, whiteboard cleaner, sink cleaner, math shelf helper (organizes math manips), door holder (holds the door when we line up to go to specials and for the chalkboard helper when he/she goes outside to clap erasers), and a substitute helper who does jobs of children who are absent. I do have to assign jobs carefully; mail carriers and lunch menu helpers need to be able to read, and I often choose very active children to be scrap monsters and board cleaners. Look around your room to see what kinds of things need to be done daily that your students can help with. Your students can probably suggest some jobs, too! 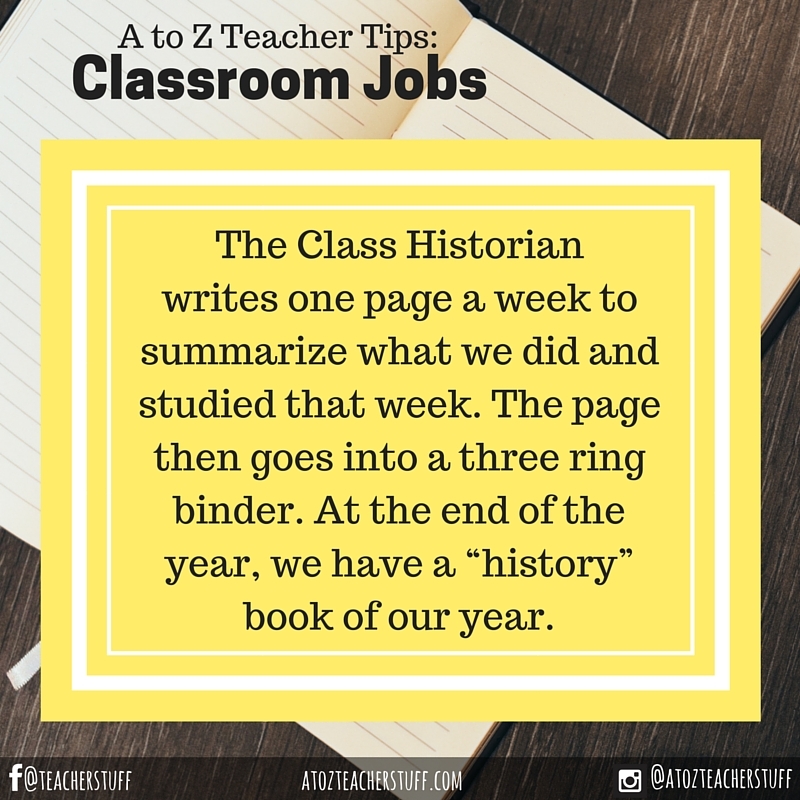 Historian – writes one page a week to summarize what we did and studied that week. The page then goes into a three ring binder. At the end of the year, we have a “history” book of our year. Photographer – Takes one picture a day of whatever they choose. When developed, they must write a caption for the picture, including names and events. These pictures get glued onto paper, with the caption next to it. Then the pages get laminated and become our scrapbook. Technician – turns lights on and off for overhead projector use, maintains thermostat upon teacher request, turns computer on at the beginning of the day and off at the end. Lunch Duty – tables and chairs at lunch. 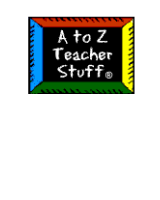 Materials Management – checks materials at centers and keeps inventory, lets teacher know what needs to be restocked from the stock room. Librarian and Library Assistant – maintains check in/out of books, keeps library organized. Secretary – takes notes for absent people, hands out class papers, books, and folders. Delivery – takes lunch count to cafeteria, takes notes to office, takes attendance down in the morning. We also have five government positions. Our mayor starts our pledge everyday, serves as line leader, and runs class meetings. He/she appoints a town manager to help them, stand in for them when they are absent, and he/she keeps time for the class, setting the alarm clock for work times since I lose track of time. We also have a sheriff who serves as hall monitor and class monitor when I am out of the room or am involved with an adult visitor. Our tax collector takes up money, homework, and class supplies that people bring in. Our Clerk of Court passes out graded work, takes minutes of our meetings, and takes attendance in the mornings. I have a chart at the front of the room with cards. Each card has a child’s name on it. The posters have pockets on them and each pocket has the job title and description on it. Then the cards go in the pockets. The government positions last for a month and the normal jobs last two weeks – per class decision. I divide the children into 6 groups for the school year. Each group is represented by a color. There are 6 jobs and 6 groups (6 colors). I make a small poster listing the jobs. Next to the job is a piece of velcro. I attach the color cards to the velcro. The people in that color group do the job for the week. Each week the color cards are rotated so that by week 7 everyone has had a turn doing each job. My jobs are attendance and lunch count, helper, line leader and caboose, librarian, and janitor. Because the students have a week to do the job they are able to decide among themselves how they will share the job in their group. They are usually very cooperative and the teacher doesn’t need to remember which individual is doing what. Doreen W.
The Sanitation Commissioner is responsible for helping the class to keep the room clean (note it is everyone’s responsiblity to keep the room clean) The Sanitation Commissioner also helps by washing the boards. Administrative Assistant – this person runs errands, takes lunch count & attendance count to the office, hands out and collects papers and helps with other chores as they come up. I have a very long hound dog with the words “Helping Hounds” written across the dog. Each of my students has a small hound with his or her name written on it. The classroom jobs are written on doggie bones. The jobs are rotated on a weekly basis by simply moving the hounds from bone to bone. From clip art or some other source, find a picture of a hound and type helping hounds across it. It should be around 2′ long. Find a smaller picture of a hound and print only the outline. Students love coloring their hounds during the first day or two of school. Out of oak tag, make doggie bones that are about 7″ long. Write the various jobs on the bones and then have them laminated. Hang on a bulletin board. I use clips to attach the students’ hounds to the bones and then I rotate jobs on a weekly basis. Young students really like having their own hound to decorate and they absolutely love being helpful in the class. 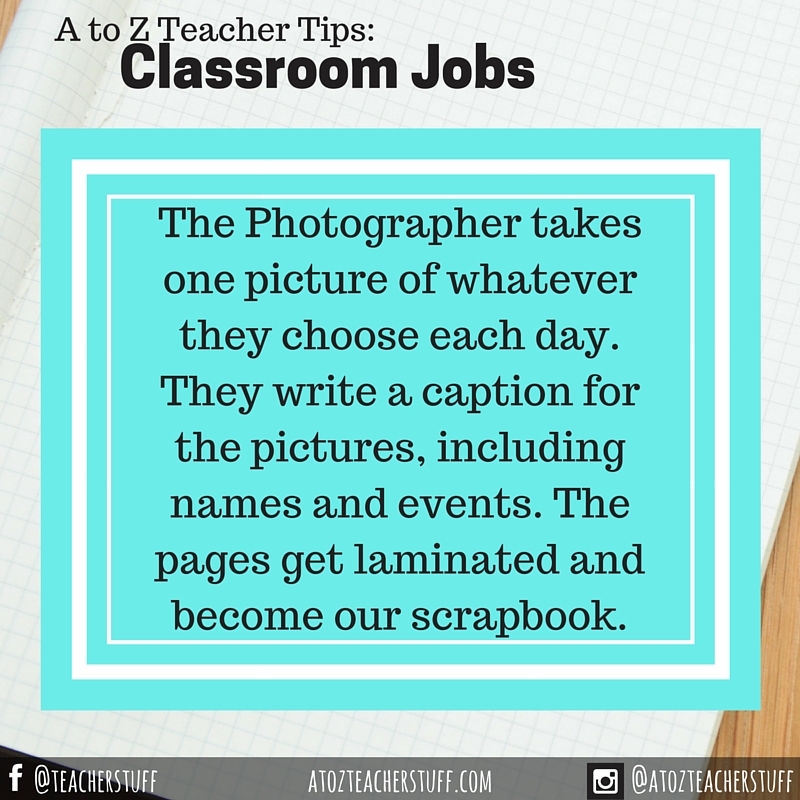 Make a handout of your classroom jobs and their descriptions. Then have your students complete a job application form. It should include their name, their top 3 jobs, an explanation of their strengths in carrying out those positions, and their signature. Add to the application if you wish to include previous job experience, hobbies, background, etc. I used to have many, many jobs that I would assign each day and found that I had trouble remembering who was supposed to do what, as well as conflicts/hurt feelings among the children. Last year, I used the colorful cut-out handprints and put each child’s name on one. I separated them into boys/girls and then put them together with a library ring. Each day I pick a new boy helper/girl helper and they do EVERYTHING for that day. If that person is absent, we decided to skip that person and then go back to them when they are back at school. I have noticed that with this system, the students are VERY honest about whose turn it is… and the conflicts have subsided since everyone knows that it’s the helper’s jobs to do it all…no confusion!